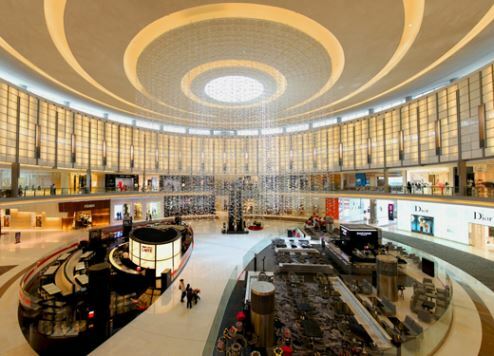 Dubai is the second most important shopping destination in the world behind London, CBRE’s latest report on the global retail industry has revealed. Dubai’s international retail presence is now 57.3 percent compared to 57 percent in 2016 and against London’s 57.9 percent, according to the How Global is the Business of Retail Report. It marks the sixth consecutive year Dubai has been listed in second place by the property consultant. The study analysed the operational networks of global retailers in 51 countries and 166 cities and found Dubai welcomed 59 new international retailers in 2016. One-third of these newcomers were specialist sellers for athletic-leisure brands including Under Armour, Jordan, New Balance and GapFit, attracted by sustained consumer demand from both overseas tourists and residents for these products. “These fashion-infused sportswear retailers are targeting the young working population of the emirate,” said CBRE. A recent JLL study revealed 350,000 square metres of retail space are scheduled for release in Dubai this year, with another 367,000 square metres listed for completion in 2018. CBRE’s report also highlighted the rapid evolution of e-commerce in the Gulf region, which is complimenting “bricks-and-mortar stores and aiding the physical shopping experience for consumers”, particularly in mature markets like Dubai. “With a dynamic, young population and one of the highest global per capita internet penetration levels, the online spending potential is quickly emerging as one of the highest in the world,” CBRE added. The report came the same week as Amazon completed its US$650 million acquisition of Souq.com, a Dubai-based online retailer, which accounts for as much as 78 percent of the e-commerce market in the Middle East and North Africa region.